Nikon D5300 is now only $596.95 (List price $799.95)at Amazon/ B&H/ Adorama/eBay. According to the DXOMark, the Sigma 35mm F1.4 DG HSM Art lens is the best choice for Nikon D5300. 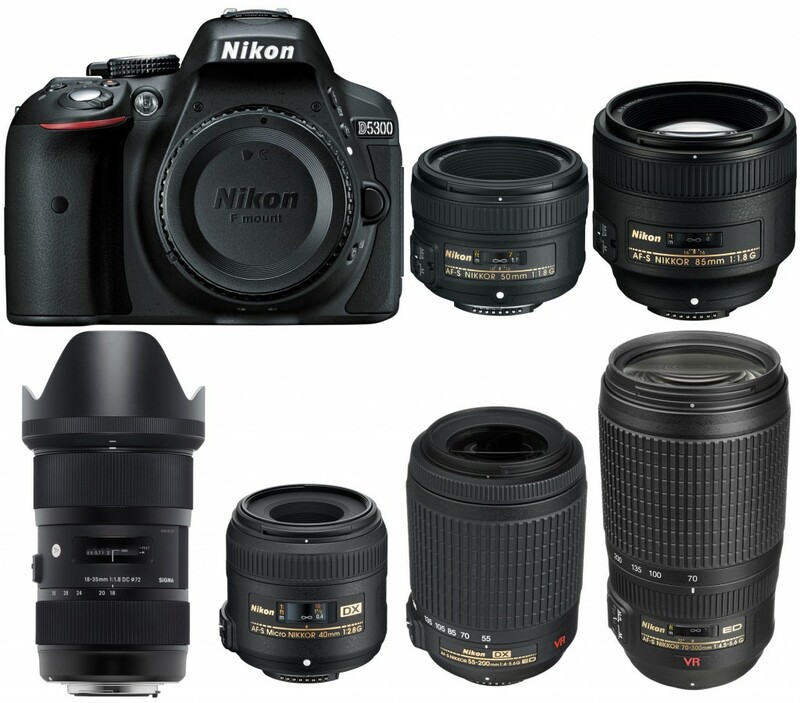 Nikon AF-S DX Nikkor 35mm f/1.8G lens is the cheapest lens than the others. If you are looking for a Zoom lens, you can choose Sigma 18-35mm F1.8 DC HSM A Nikon.Carl Zeiss Distagon T 25mm f/2 ZF.2 Nikon lens is another great lens, but its price is much more expensive. From the list below, Carl Zeiss Distagon T* Otus 1.4/55 ZF.2 and Carl Zeiss Apo Planar T* Otus 85mm F1.4 ZF.2 are the best lens for Nikon D5300, but the price is a little more expensive. The Nikon AF-S NIKKOR 85mm f/1.8G or Samyang 85mm f/1.4 Aspherique IF Nikon is another best lens at an affordable price. If you are looking for a telepoto lens for Nikon D5300, Carl Zeiss Apo Sonnar T* 2/135 ZF.2 lens is your best choice.The second is Nikon AF-S Nikkor 200mm f/2G ED VR II, but both two lenses are more expensive. You can choose cheaper lenses, such as Tokina AT-X M100 AF PRO D AF 100mm f/2.8 and Sigma 105mm F2.8 EX DG Macro Nikon. Sigma 18-35mm f/1.8 DC HSM is the best zoom lens for Nikon D5300 .If you are choosing a cheap lens, AF-S Nikkor 70-300mm f/4.5-5.6G IF-ED and 55-200mm f/4-5.6G IF-ED are also great lenses for Nikon D5300.